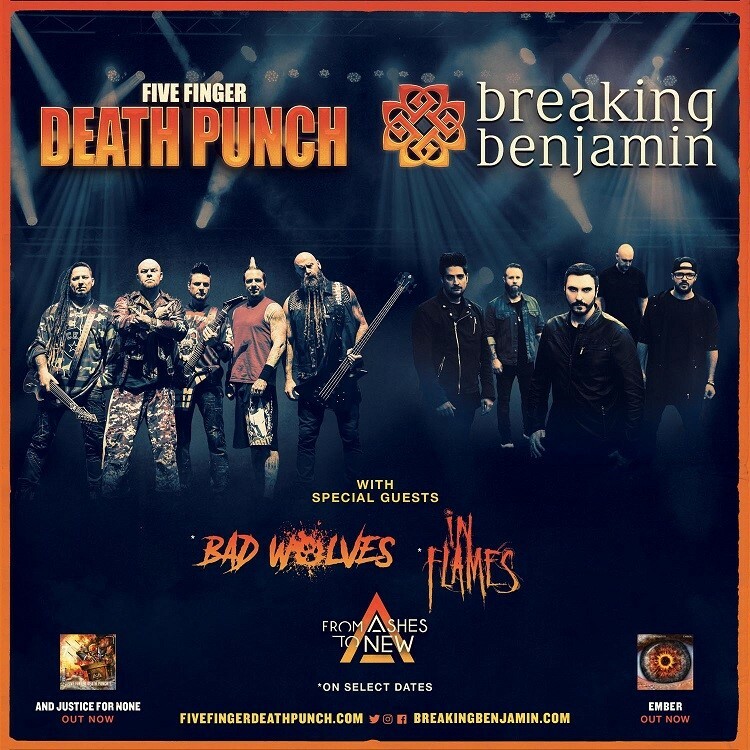 After a massive summer tour with electrifying performances and stage production in front of packed Amphitheaters nationwide, FIVE FINGER DEATH PUNCH and BREAKING BENJAMIN will expand their co-headlining North American tour which will now take both artists into Arenas nationwide through Fall 2018. Produced by FPC Live (Frank Productions), the Fall Arena tour will once again feature 2018 breakout rock band Bad Wolves (select dates) with Swedish heavyweights In Flames on other select shows. 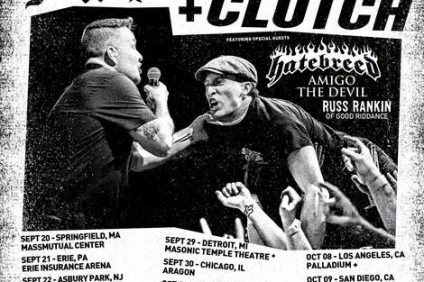 Chart toppers From Ashes To New will offer support on all fall dates, while special guest Trap-Core DJ Felmax will bring his heavy beats to round out the night of entertainment. 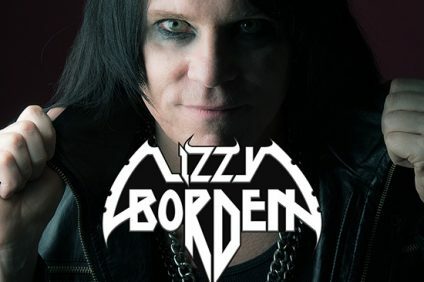 For tickets to the biggest rock event of the year, VIP offerings and more info, visit here and here. 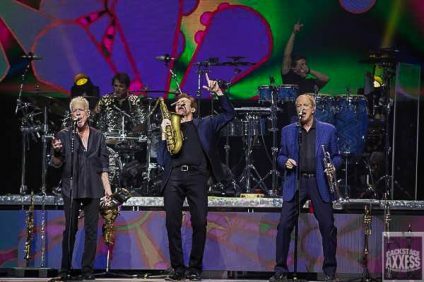 For the summer portion of the tour, the co-headliners made the powerful decision to give back to two charity organizations that are close to their hearts. In taking a portion of their ticket sales, FIVE FINGER DEATH PUNCH donated $95,000 to C.O.P.S – Concerns Of Police Survivors–whose mission is rebuilding shattered lives of survivors and co-workers affected by line of duty deaths, through partnerships with law enforcement and the community–and BREAKING BENJAMIN donated $95,000 to Prevent Child Abuse America–which counteracts the abuse and neglect of our nation’s children by promoting services that improve child well-being and developing programs programs to support the healthy development of children and prevent abuse before it can occur. For the fall tour, FIVE FINGER DEATH PUNCH will donate a portion of their ticket sales to VETPAW (Veterans Empowered to Protect African Wildlife). The mission of VETPAW is to end the illegal poaching of Rhinos, Elephants and other endangered species. VETPAW does this by utilizing the unrivaled skills and experience of highly trained combat veterans to form anti poaching units, train local park rangers and support their communities. BREAKING BENJAMIN will donate a portion of ticket sales to a charity the band has longtime supported, St. Jude Children’s Research Hospital, in an effort to help further research to end childhood cancer and other life-threatening diseases. 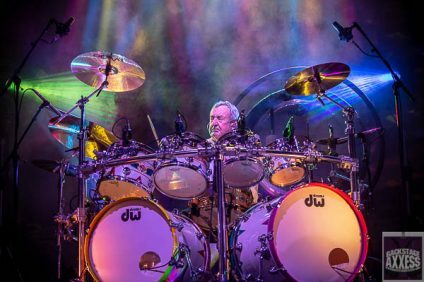 The 2018 tours come alongside brand-new hard rock albums which topped the charts this spring. The multi-platinum FIVE FINGER DEATH PUNCH—who released their seventh studio album, AND JUSTICE FOR NONE (May 18) debuting at #4 on the Billboard Top 200 chart–and multi-platinum artists, BREAKING BENJAMIN—whose sixth studio album EMBER (April 2018) debuted at #3. Each artist on the tour continues to make a mark on the rock radio charts with their current singles: FIVE FINGER DEATH PUNCH reached #1 with “Sham Pain,” and now has “When The Season’s Change” climbing the charts, BREAKING BENJAMIN reached #1 with two new singles “Red Cold River” and “Torn In Two,” Bad Wolves is at #5 with “Hear Me Now”. From Ashes To New is coming off a #2 hit while In Flames’ single “The Truth” peaked at #15. In other news, FIVE FINGER DEATH PUNCH announced that drummer Jeremy Spencer will be sitting out the Fall leg of the tour to undergo a second back surgery. Drum prodigy “The Engine” will be sitting in for him on The Fall run (dates below). Five Finger Death Punch’s AND JUSTICE FOR NONE (released via Prospect Park), has generated 225 million U.S. on-demand streams, over 360,000 U.S. digital song sales and over 150,000 physical album sales. The new single and video for “When The Season’s Change” is climbing the Active Rock Airplay charts while “Sham Pain,” hit #1 at Active Rock and “Gone Away” reached the Top 5. AND JUSTICE FOR NONE marked the group’s fifth consecutive Top 5 album release. The album also had four #1 placements on other charts including: Top Digital Albums, Top Rock Albums, Top Hard Music Albums and AND JUSTICE FOR NONE is the #1 streaming Hard Rock/Heavy Metal Album of 2018. Produced by the band and Kevin Churko (Ozzy Osbourne, Disturbed) with AND JUSTICE FOR NONE, Five Finger Death Punch has once again stepped up their game maintaining their signature intensity, all while pushing themselves into new territories. Purchase AND JUSTICE FOR NONE or stream the album here: https://fivefingerdeathpunch.com, www.facebook.com/fivefingerdeathpunch and https://twitter.com/FFDP. Breaking Benjamin’s self-produced sixth studio album, EMBER debuted at #3 on the Billboard Top 200 in late April, selling over 220,000 albums to date. EMBER is the multiplatinum band’s fourth Top 5 debut on the Billboard Top 200, following 2015’s #1 debut for Dark Before Dawn (Gold), 2009’s Dear Agony (Platinum) which debuted #4 and 2006’s Phobia (Platinum) which debuted #2. EMBER has already spun off two consecutive #1 hits at Active Rock Radio with the band’s latest single, “Torn In Two” –granting the band their 9th #1 song–and their previous single “Red Cold River.” EMBER adds to a healthy 7MM+ album units sold for Breaking Benjamin and charted in the Top 10 across numerous countries Worldwide, as well as broke records by topping #1 charts across various genres, such as: Top Alternative Albums, Top Rock Albums, Top Hard Rock Albums and Top Digital Albums. Purchase Ember or stream the new album here. For more information: https://breakingbenjamin.com, https://www.facebook.com/BreakingBenjamin and https://twitter.com/breakingbenj. 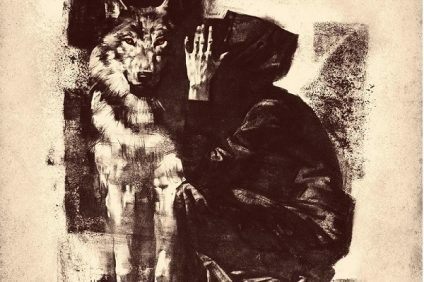 Bad Wolves released their debut Disobey, (May 2018) via Eleven Seven Music, achieved the #22 spot on the Billboard Top 200, #2 on the Hard Rock Chart, #4 on Rock, and #8 on the Top Current Albums Chart’. The global breakout single “Zombie” has been certified Gold in the United States and Australia as well as Platinum in Canada. 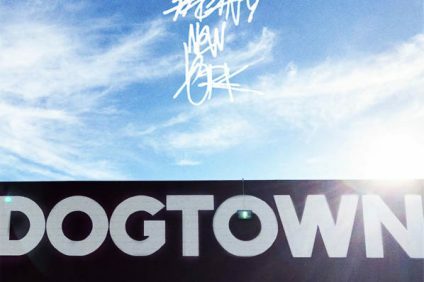 The track has topped charts worldwide, including the U.S. iTunes overall and rock charts, Billboard’s Mainstream Rock Songs chart, Spotify’s Global Viral 50 chart, while also reigning atop the Active Rock radio chart for three straight week. 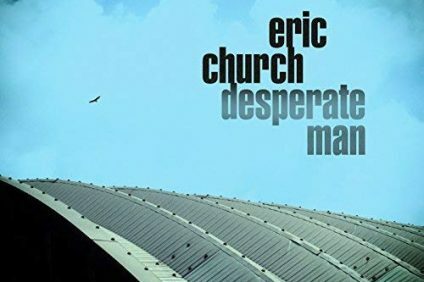 The official music video, a tribute to the late singer Dolores O’Riordan of the Cranberries and an homage to the original, has garnered over 125 million views across platforms. On June 19, 2018, Bad Wolves presented a $250,000 check to Dolores O’Riordan’s four children, and with a promise to donate all of their proceeds. Bad Wolves’ current single “Hear Me Now” is quickly climbing up the charts currently at #22. For more information: https://badwolvesnation.com, https://www.facebook.com/badwolvesofficial and https://twitter.com/badwolves. Sweden’s leading metal band In Flames, has never stopped moving forward during the more than 20 years they’ve been performing. The melodic death metal of the band’s early days has since evolved into a unique expression, manifested in 12 albums like A Sense of Purpose, Sounds of a Playground Fading, Siren Charms and their latest release, BATTLES, recorded in Los Angeles with multi GRAMMY-nominated producer, Howard Benson. 2016’s BATTLES spun off the band’s first Top 15 track at Active Rock radio and charted Top 10 in multiple countries internationally. The globally demanded act have toured worldwide with acts such as Metallica, Judas Priest and Avenged Sevenfold while inspiring many of our favorite rock and metal artists today. In Flames is a band that fans around the world can rely on, inspiring their fans, the Jesterheads, to live by the phrase “In Flames We Trust.” For more information: www.facebook.com/inflames, www.twitter.com/inflames_swe and www.instagram.com/inflames. 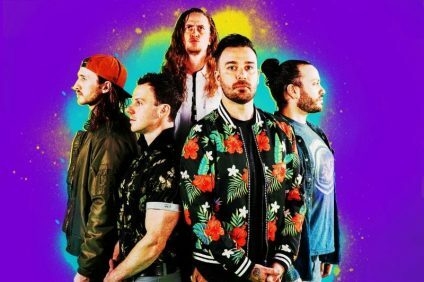 Lancaster, Pennsylvania based band, From Ashes To New consisting of front man/rapper/programmer Matt Brandyberry, guitarist Lance Dowdle, vocalist Danny Case, and drummer Mat Madiro, embark on their sophomore release, The Future released 4/20. 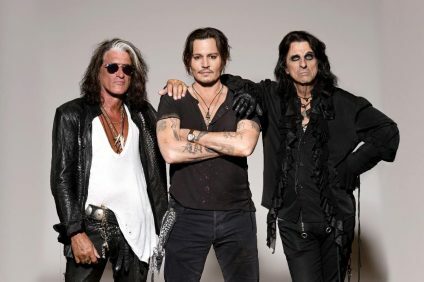 Their last album Day One saw the band break into the Top 10 Active Rock Chart with the track “Through It All” and continued to build momentum with the streaming hits “Breaking Now” and “Lost and Alone.” The fans gave the band a warm welcome when the first single “Crazy” was premiered by SiriusXM Octane. The Future is a massive step forward for the band that establishes them as one of the leaders of their genre. Now it’s time to make that future a reality. For more information: https://www.fromashestonew.com, https://www.facebook.com/FromAshesToNew and https://twitter.com/FromAshesToNew.